The good people over at eFusion have introduced an application to the App Store which offers the ability for users to record conversations which are taking place via services such as Skype, or through the use of other Voice Over IP services such as the iOS Viber application. The application is called SkyRecorder, and is predominantly aimed at people who find themselves on a VoIP call and need to take down notes but are unable to for whatever reason. SkyRecorder offers the ability to record the full VoIP conversation into an audio session, and clearly records both sides of the conversation which gives context at a later date for note taking and referring back to specific points. The application offers a simple, single touch recording function to begin the process and does not limit the amount of time that it can record, although storage space is obviously device dependent and requires the iPhone to have sufficient free internal storage. SkyRecorder also offers users the ability to import and export the saved audio sessions, as well as an elegant method of restarting the recording; should it be interrupted by an incoming telephone call through the actual Phone application on the device. For those wondering, SkyRecorder does not have the ability to record standard telephone calls, and will only work with VoIP services such as Skype and Viber. There is no denying that the features of SkyRecorder can be used to record a conversation with the recipient’s knowledge, but the focus of the application is to act as a virtual notepad; meaning, that you no longer have to try to recall certain parts of the conversation from memory. If you have ever ended a Skype call, then tried to remember what was said, or struggled to remember names, dates or specific conversation details then SkyRecorder will alleviate those worries. The application is not a universal app, but will operate in the iPad as well in 1x and 2x compatibility mode and requires iOS 4.3 or above. The simple user interface means that after launch, the user simply needs to tap the ‘Record’ button and then switch over to the preferred VoIP application to make the call which is to be recorded. 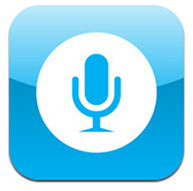 SkyRecorder also supports recording through the device’s speakerphone but this requires the call to be initiated in the first instance, and then switched over to SkyRecorder to record. 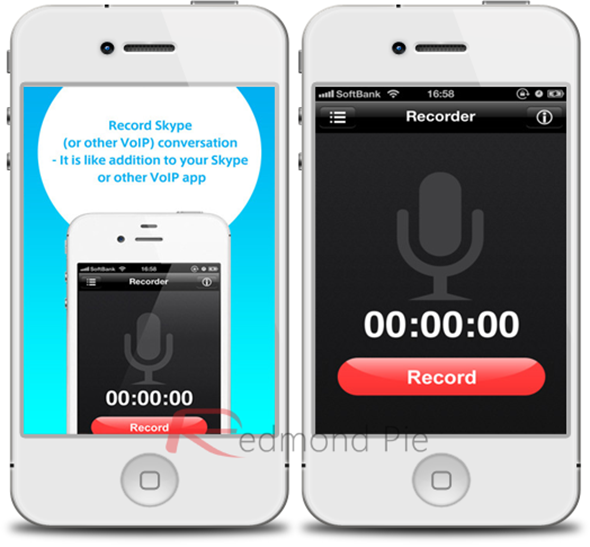 Obviously, the idea of recording a full conversation, regardless of whether it is a standard voice call or through a VoIP service, is an extremely sensitive one and the user of SkyRecorder should have the other person’s permission before starting the recording. For the sake of clarity, it is also worth mentioning that SkyRecorder and the developers, eFusion, are in no way linked with Skype, Viber or any other VoIP service provider. For a price of just $1,99, its not that bad either.